One of the greatest inspirations for starting a business comes from need. When there isn’t a solution to a problem you encounter, EUREKA - it is the perfect time for a new product to be born and introduced to the market and many others who probably have the same need. This is exactly how Priska Diaz founded her business, Bittylab - manufacturers of an air-free baby bottle. The mother of two, Priska had wanted to 100% breastfeed her first son, Carlton, when he was born. 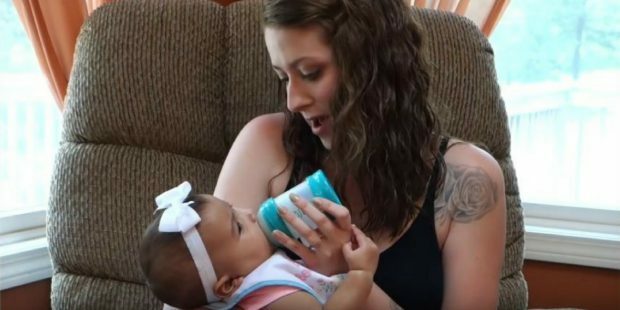 Unfortunately, he needed more nutrition than she could provide, so she had to become a ‘combo’ mom and supplement her feedings with formula from a bottle. She tried every bottle on the market, but all caused her son to become gassy, which as any parent knows can lead to some long, frustrating nights of fussiness and crying. See how #PriskaDiaz started @BareAirFree and found #entrepreneurial success. One morning after yet another frustrating and sleepless night, Priska said to herself, “My breasts do not have air-vents, why should baby bottles?” That is when the right side of her brain took over and the development of a new device that not only looks like a breast but functions like one by dispensing air-free milk, began. You can listen to Priska's fascinating story in the interview below, including the many challenges she faced starting her company and how she overcame them to bring her product to market.